with custom made turnover presser foot for close stitch to the edges of label. 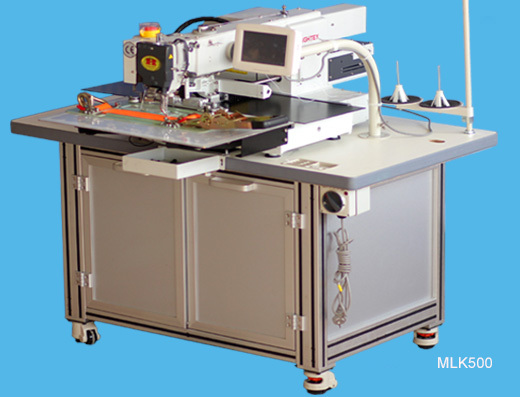 This programmable sewing machine features in high speed of 2500 rpm (without burning thread by hot needle). 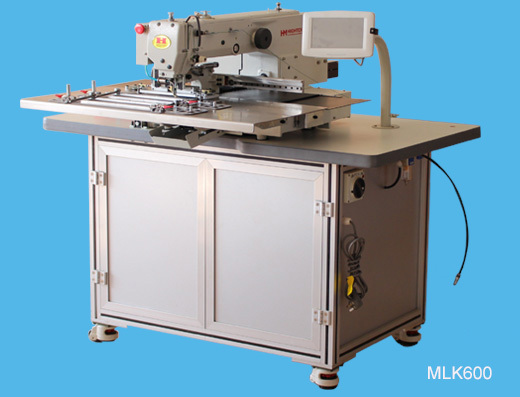 Simple, affordable, and ready to operate, ideal for sewing labels or ID tages on both heavy duty lifting slings, ratchet straps, lashing straps and protective equipment. Applications: cargo lashing straps,ratchet straps, tie down straps, cargo control, winch straps, truck straps, ratchet tie down. 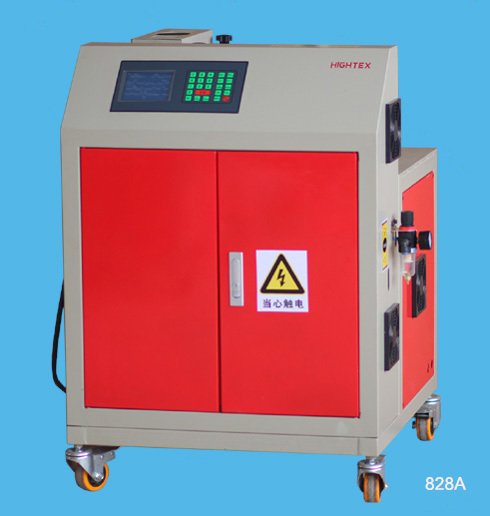 Advantages: It incorporates ball bearings for the arm shaft and hook shaft, a drive belt and a plunger oil pump mechanism for automatic lubrication ensuring a smooth, quiet operating environment and extra long working life; High speed up to 1600 RPM; Large rotary hook with 3 times of bobbin capacity; Easily stitch 2-3 ply of nylon and polyester webbing with each of 3 mm (total thickness 9 mm); Using thick thread up to metric size #10 (=T-270, 840d X 3, V277 ); Automatic bobbin changer is available as option. Applications: safety harnesses, full body harness, fall protection harnesses, seat belts, backpack straps, rescue belts, safety lanyard, parachute harness, military straps, army vest, military equipment & tactical gear. 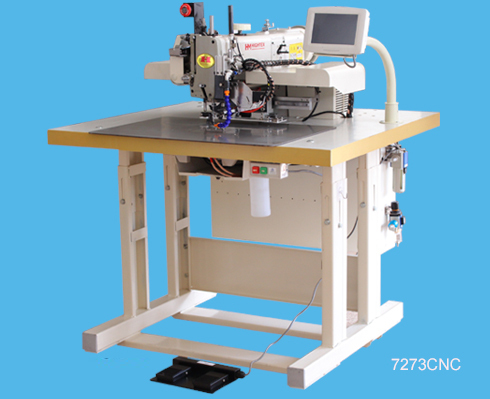 Advantages:High production efficiency due to its high speed provides high efficiency (1600 rpm); Large rotary hook with 3 times bobbin capacity; Easily sew with thick thread up to metric size #10 (=T-270, V277, 840dx3); Top quality parts guarantee high performance and long working life. Applications: 75mm to 100mm wide 5 Ton to 10 Ton heavy duty ratchet straps for lashing (total thickness less 12mm). 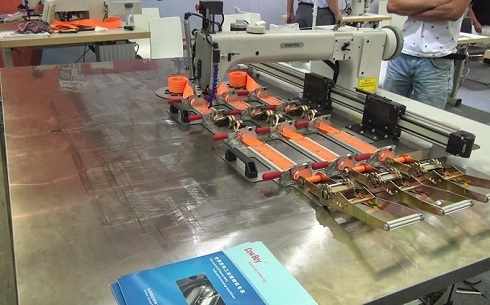 Advantages: Sewing 2 sets ratchet tie down straps (lashing straps) at same time, it is possible to run 2 automated sewing units with only one person, great for saving labor cost; Long sewing cycles by large Barrel shuttle hook; Can easily sew 2-4 ply cargo webbing (3.5mm of each) together. 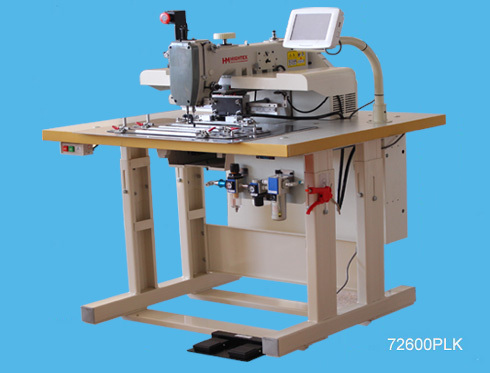 The advantable of this automatic sewing equipment is it can sew both lashing strap and heavy duty lifting slings, so if you make both lashing belt and heavy duty lifting & rigging slings, but with limited budget, it is good machine. 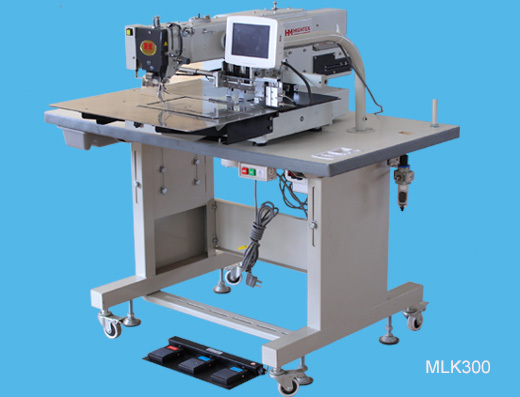 Advantages: Super large sewing area (800mm×500mm) allow to sew 6 sets of cargo lashing strap and ratchet tie down by single operation; Large Barrel shuttle hook; Equipped with an upper and lower burning type thread trimmer; Ready to operate, simple to use, no serious training required. Application: ratchet straps, lashing straps & tie downs, fall protection equipment & safety harness, rescue belts, safety lanyard, military webbing straps, seat belts and medium weight lifting belts.